Infinix S Series: Can this Infinix smartphone improve your selfie game? Update, February 6, 2018: Infinix India has today announced their new selfie-centric smartphone, which puts other budget-friendly mid-range smartphones to shame. Infinix Hot S3 implements almost every trending feature including 18:9 aspect ratio, high-resolution selfie camera, latest Android, powerful processor, and large capacity battery. This makes it the most interesting new smartphone under 10,000 category. Infinix mobile is one of the hottest new smartphone brands in India. Hailing from Hong Kong, Infinix entered India last year and is killing it with its three smartphones that include the Infinix Hot 4 Pro, Infinix Note 4, and the Infinix ZERO 5. Infinix plans to cater the requirement of users who aren’t looking to spend too much on a smartphone. They might have been late to the party, but they do plan to gatecrash it with Infinix S Series. What is the Infinix S Series? You had enough of selfie experts and other selfie-centric smartphones that claim to offer an amazing selfie experience. That is what Infinix believes! 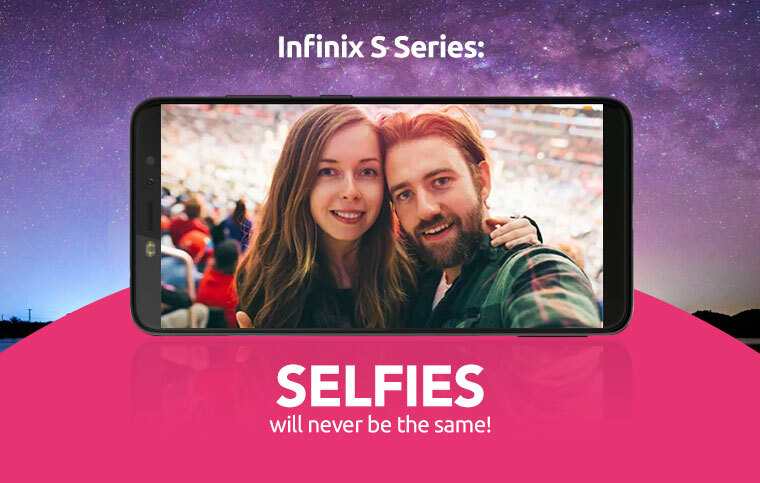 The Infinix S Series is coming to change the game of selfies! Say no more to expensive poor selfie experts and hello to the true selfie snappers. What are the highlights of the Infinix S Series specification? > A FullView display! The 18:9 aspect ratio truly makes for an immersive viewing experience. Apart from media watching, you also get to experience a wider view when you are shooting an image or a video. It will truly give you a freedom to express yourself! > Bokeh Selfie! Become the expert on self-portraits with the Bokhe-licous selfie camera on the new Infinix S Series smartphones. > You often like to take selfies during the night and most of the time you are challenged by low-light. Which is why Infinix India has made sure you don’t have to suffer anymore. Their new upcoming Infinix S Series would have a low-light selfie feature. > Do you travel in big groups? Now your friends/family members don’t have to compromise since all can fit into one picture. Making family portraits would be easier with this one. Why should I consider Infinix S Series as my next smartphone? First reason: You are obsessed with self-portraits! Second reason: You are crazy about portraying yourself on social media! Third reason: Your favorite app is Snapchat and Instagram! And all you do is share selfies. Fourth and most significant reason: Infinix S Series would be an aggressively priced smartphone series dedicated with best in class selfie experience and overall device performance. What would be the expected Infinix S price in India? Infinix S Series is all set to be released in India on February 6th, and we are only aware of its selfie features and that it will come with a full view display. These are quite scarce details, which is why it’s hard to guess the price tag. But considering the current competition, Infinix S Series price in India should start below 10,000. That is only when it can disrupt the selfie-centric smartphone market. Previous article Vivo Xplay7: Could 10GB RAM would be enough to call a smartphone monster? Next article Sony Xperia L2: When will Sony learn how to price their devices?